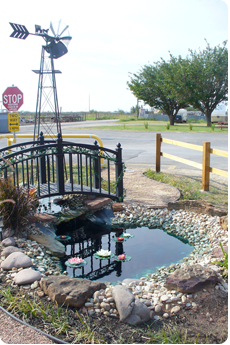 We are a Good Sam Park located in Abilene, TX! All of our sites are pull-thrus, full hook-ups, 30/50 amp, with free Wireless Internet, We have yard lights at each site and some picnic tables. If you are a club or group needing a meeting place, enjoy our beautifully remodeled Club House with kitchen, located next to the swimming pool. Laundry and Shower Houses are available for your convenience. Daily/Weekly/Monthly sites available. Eastbound: Exit 292B, continue east on south frontage one mile. Westbound: Exit 294, left over I-20, west on south frontage one mile. Come stay with us and find out what fun and friendliness is all about. "This is a very easy park to get to from the Interstate. Very friendly staff. Pool looked brand new and very well maintained. Wi-Fi worked perfectly. A good overnight spot." "Every thing at this park is better than average, except the showers and they are great. Really over sized and a private adjoining dressing room and very clean. Will most definitely stay here again"
"Nice clean park with a very friendly and helpful manager." Our motto is "Your Home Away From Home." 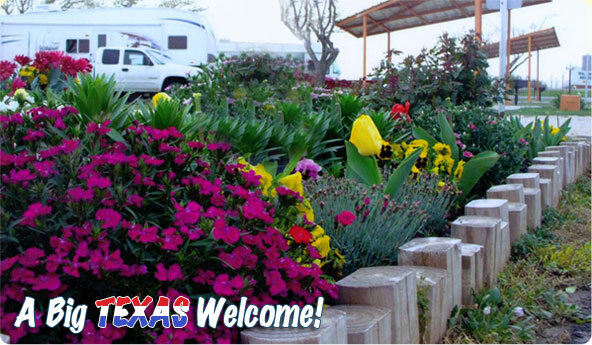 Our RV Park is a very peaceful, well-established park located on the east side of Abilene, just outside the city limits. Our park has been completely remodeled and upgraded to accommodate you. As the new Managers, we took over the park in June 2016. We live on-site in the "big house." We would like to invite you to be our guests to enjoy the blessing of staying on this park also. Come by to see us! We hope you will visit us soon--for one day, or if you love it, maybe more! Please sign in below and give us your comments on our park.